RTS now has a final report and recommendations from its consultant regarding the Monroe County public bus system's fixed routes. For the most part, the routes are the same as they were in the consultant's draft report from May, though there are a few important changes that officials say resulted from public input. Officials from RTS and representatives from its consultant, Transportation Management and Design, will update the public on the report and recommendations during a 6 p.m. meeting on Tuesday, August 14. The session will be held at the Thomas P. Ryan Recreation Center, 530 Webster Avenue. The transit agency has also prepared a companion report to answer some of the questions it received after the draft report and routes were publicly released. It also speaks to services the public wants, but that aren't viable without additional funding, RTS CEO Bill Carpenter said during a press conference Thursday afternoon. That consultant's report and the companion report are available at reimagine.myrts.com/transit-plan/. In its draft, the consultant laid out 10 frequent-service routes — including two cross-town routes — and 20 local-service routes. It pared back on some of the lines that currently run deep into the suburbs but that don't have the ridership to sustain them, according to officials. The frequent-service lines would run no more than 15 minutes apart from 6 a.m. to 6 p.m. on weekdays and no more than 30 minutes apart from 5 a.m. to 6 a.m. and 6 p.m. to midnight on weekdays. On weekends, they'd run 30 minutes apart from 7 a.m. to 6 p.m. and an hour apart for all other hours of service. 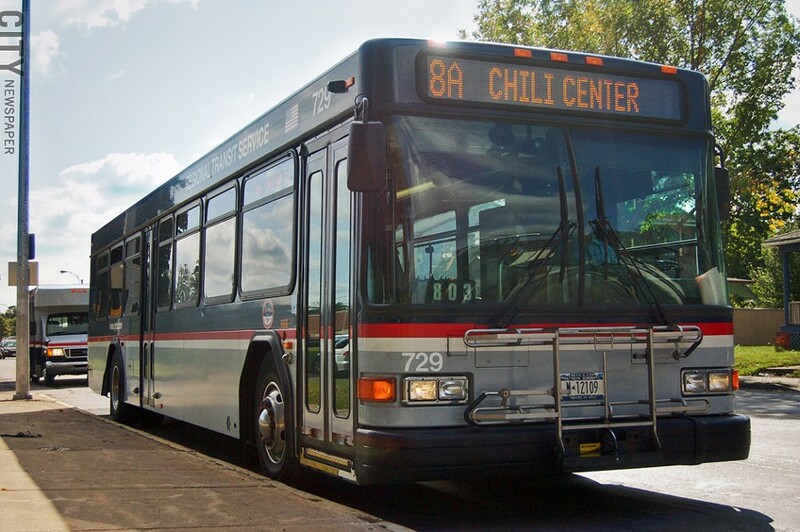 Buses on the local-service routes would run 30 minutes apart from 6 a.m. to 6 p.m. on weekdays and hourly from 5 a.m. to 6 a.m. and 6 p.m. to midnight on weekdays. They'd run hourly from 6 a.m. to midnight on weekends. A new "community mobility zone" should be added near Eastview Mall. Community mobility zones are one of the next tasks that RTS officials will tackle, Carpenter said. Basically, the zones are places that need to be served by public transit, but that can't support full-size buses. RTS will be looking into various ways that it can provide public transportation to those communities, such as increased van pooling to employment centers or the use of smaller, yet accessible, buses. Those zones include parts of Brockport, Greece, Irondequoit, the Lexington Avenue industrial area, and Henrietta. That study will start in the fall and will continue through winter 2019, Carpenter said. Before any of the changes can take place, the RTS board will have to approve the route plans, a broader transit plan, and a strategy to implement it all. By summer 2020, the agency should be carrying out the plans.